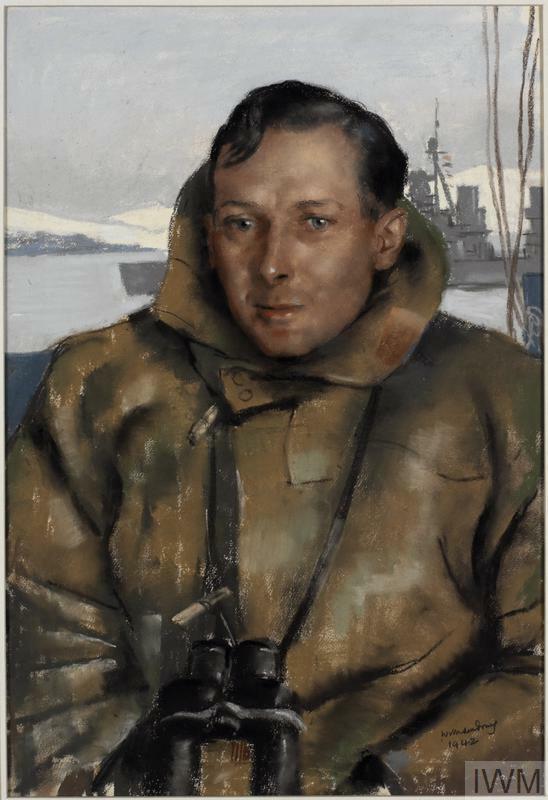 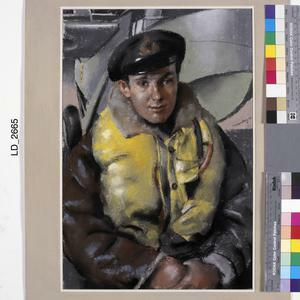 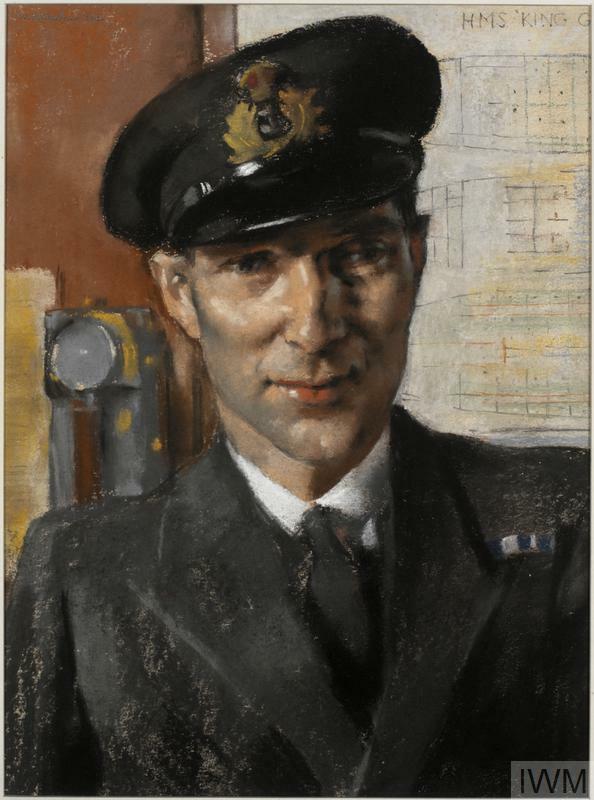 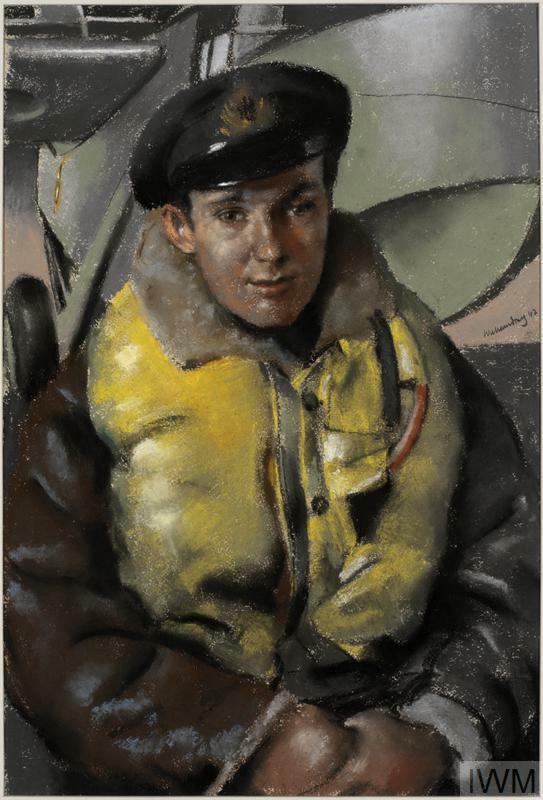 Lieutenant (A) F Stovin-Bradford, DSC, RN : "HMS King George V"
image: A half-length portrait of Lieutenant (A) F Stovin-Bradford in uniform and a yellow life jacket. 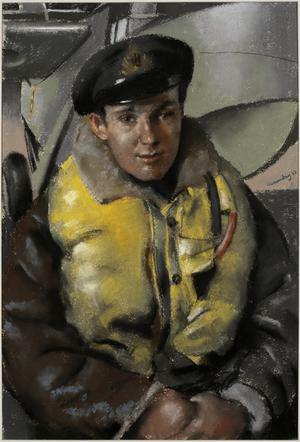 He is depicted on the deck of a ship with a plane in the background. 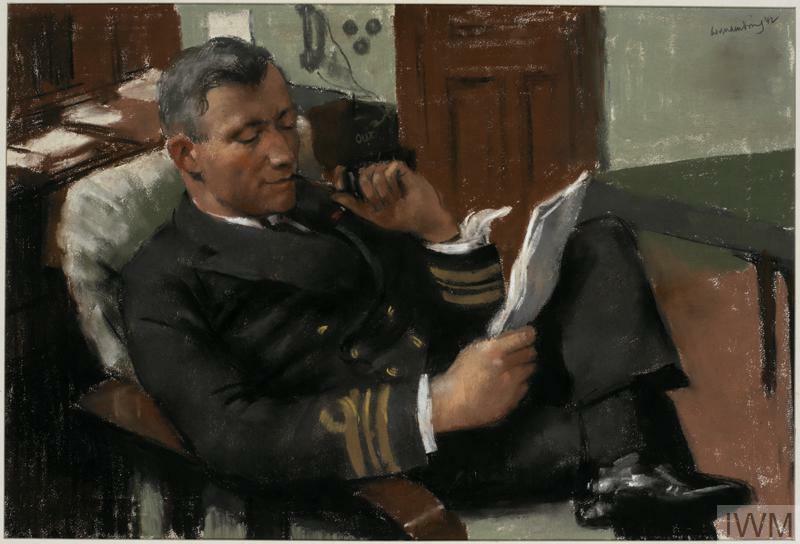 Lieutenant (E) A P Monk, DSC, RN : Damage Control Officer, "HMS King George V"
Lieutenant-Commander R H Courage, OBE, DSC, RN : "HMS King George V"
Lieutenant-Commander E Mack, DSO, DSC, RN : "HMS Eclipse"